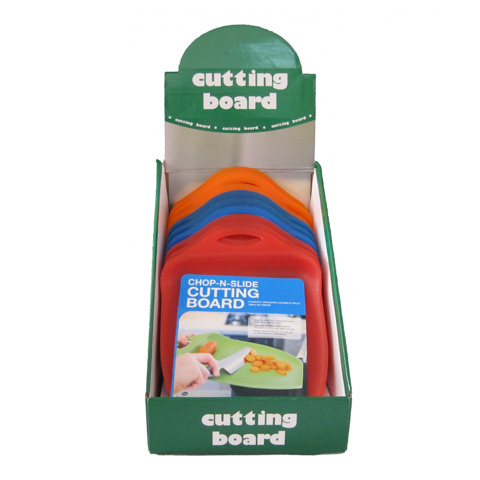 Chip& Scoop Chopping Board Pdq. 32x23cm. Royal Blue / Red / Green- 3Asst. PP. 215G Packaging: 12 Pc / Display Box With Colour Sticker.